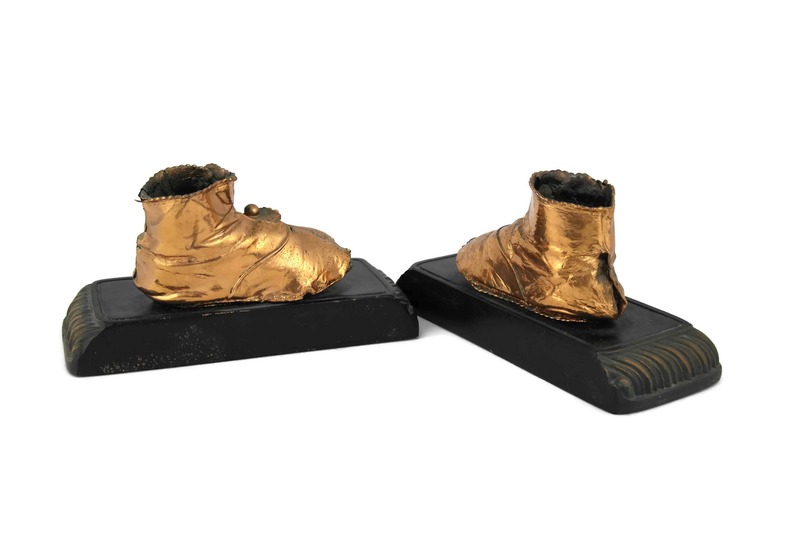 French Antique Copper Cast Baby Shoes Bookends. 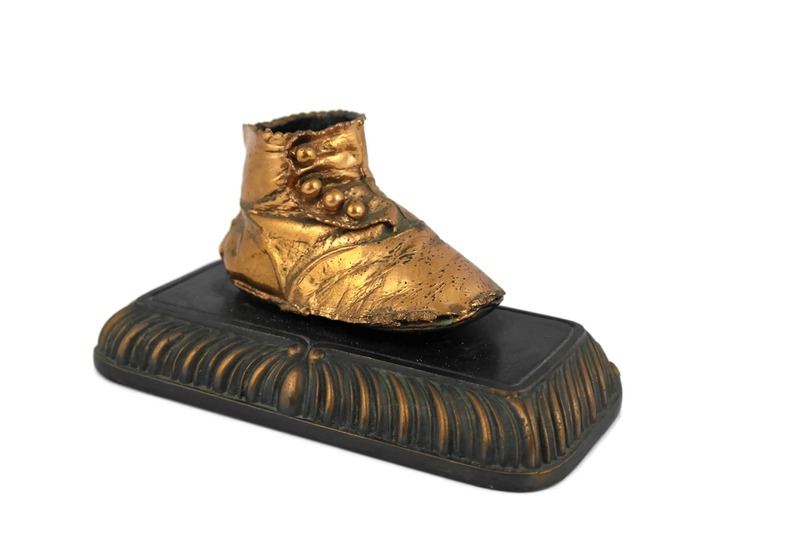 Victorian Children booties Figures Book Ends. 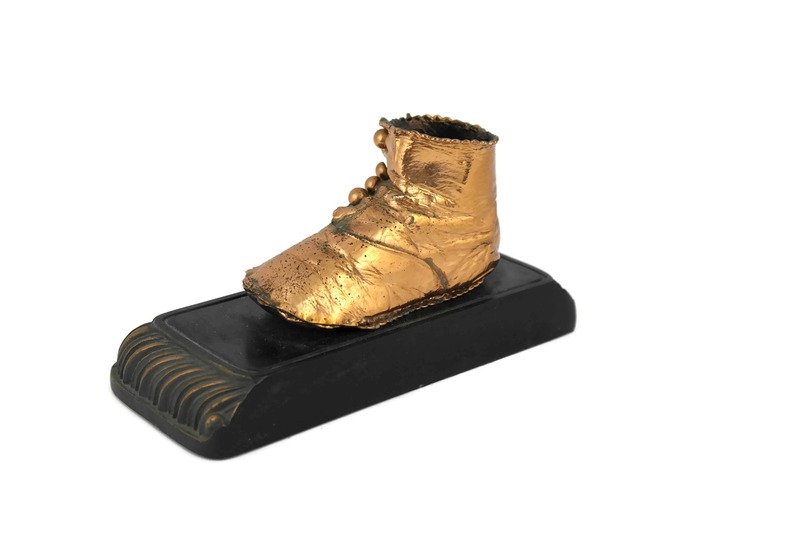 Nursery Decor. 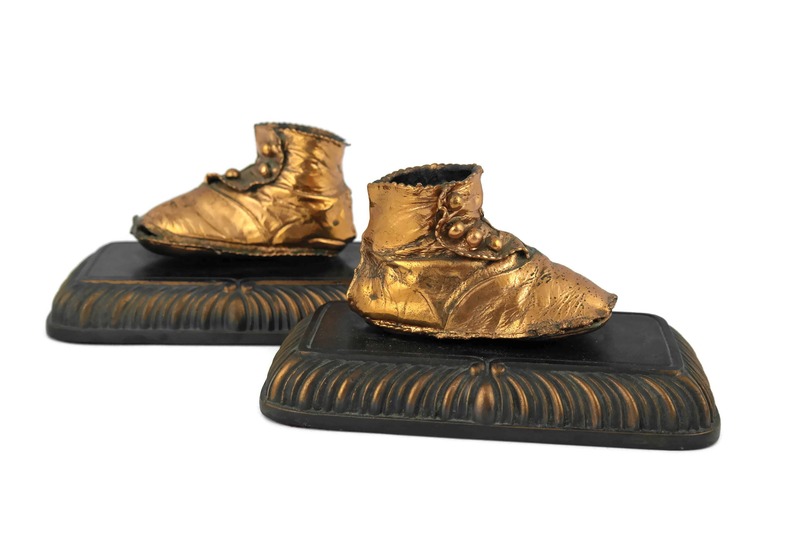 A fabulous pair of French antique bookends dating to the early 1900's. 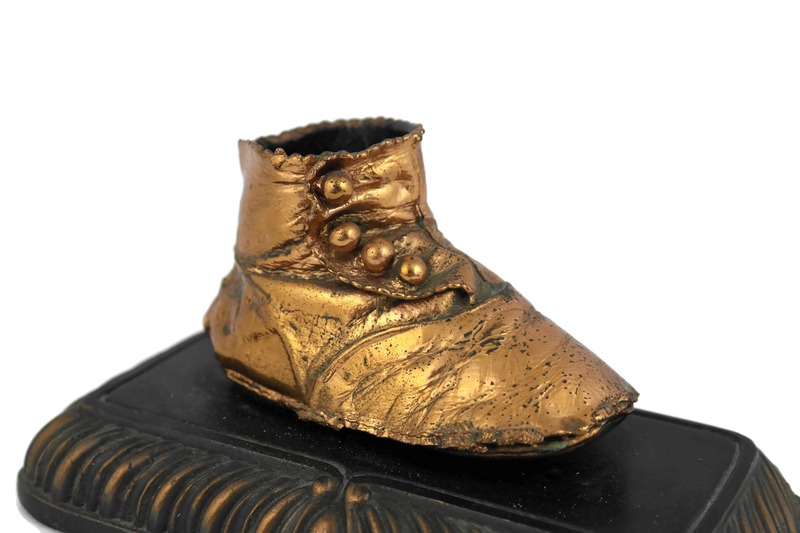 Each cast metal bookends features a charming baby shoe that has been plated in copper. 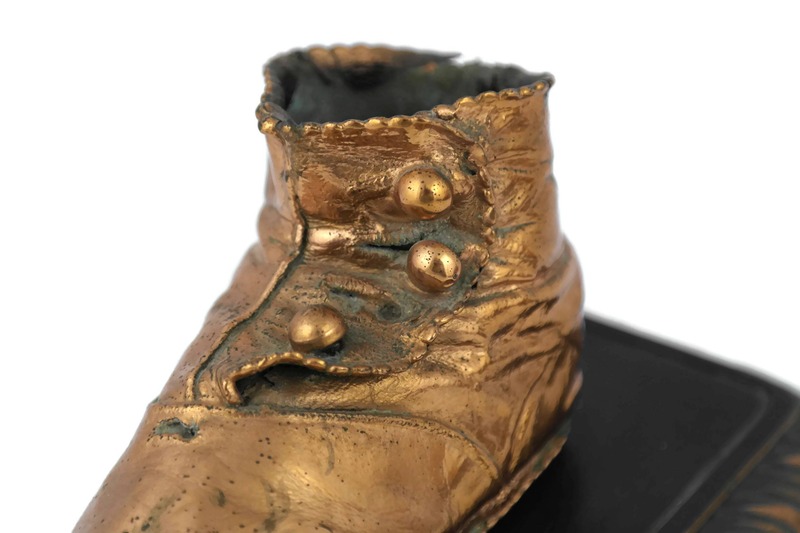 Each shoe was originally an authentic little leather shoe with button closing that have been preserved under a layer of copper metal. The metal bases have also been cast in copper with an elegant scalloped design around the rime. 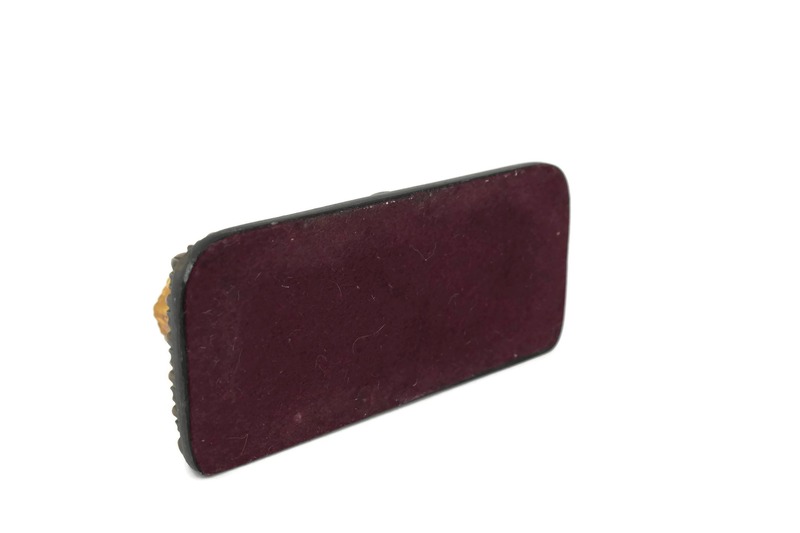 Each of the bookends has a fabric lining on the underside. 7" Long x 3 1/2" Tall x 3" Wide (17,5 cm x 9 cm x 8 cm). 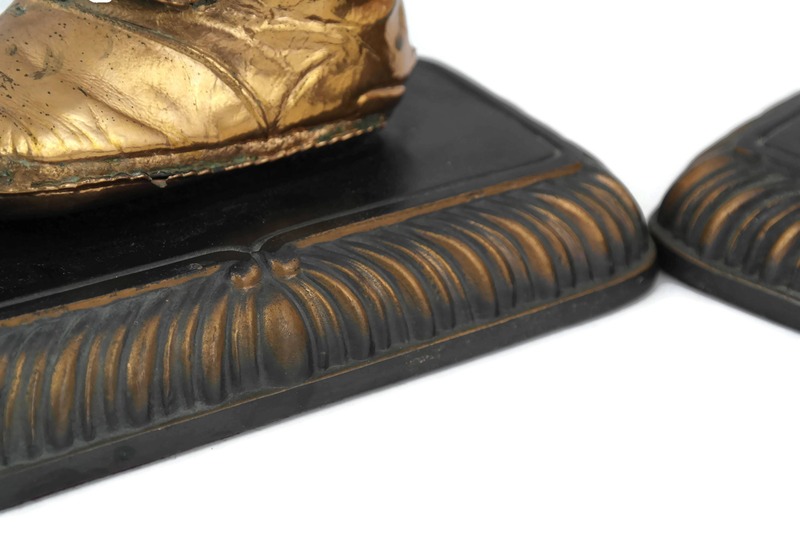 The antique copper book ends are in very good antique condition with patina and light wear. 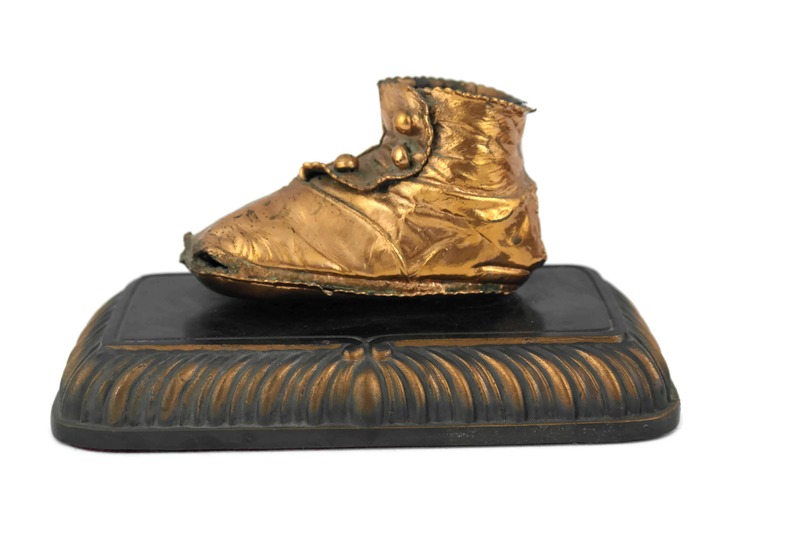 Item ref: French Antique Copper Cast Baby Shoes Bookends. 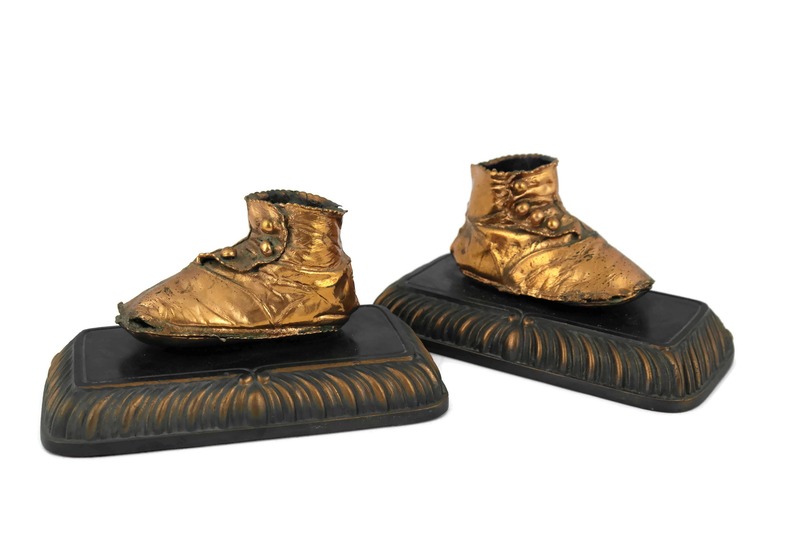 Victorian Children booties Figures Book Ends. Nursery Decor.